Tag Archives for " property advice "
Marketing, I love it – but weirdly not everyone else does ! So the question is : How do you market and automate the process ? 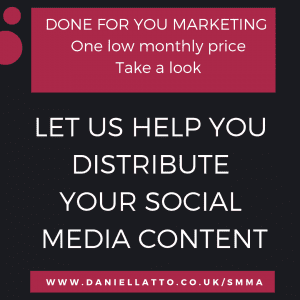 What marketing should you be doing ? How has marketing changed in just a few short years and what can you do about it. Take a listen - and let me know how you're doing your marketing. YouTube is Hot, Hot Hot right now. In fact, studies show that people are now watching more YouTube than TV! So if you want to get your company in front of your potential buyers, then you should be on YouTube. The question is - how do you get an audience to view your business or brand and how do you integrate YouTube into your marketing ? Keep listening and I’ll tell you more. I’ve heard every excuse going as why to it can’t be done. But the best one is "I'll end up spending so much time planning I won't have any time to do the work" - and funny enough that is EXACTLY why they're not moving forward in life. Planning isn't an option if you want to be wealthy. Take a listen and find out why ! Marketing is a huge part of business, it’s the path to the people, to the consumers. It’s how you put your brand in the market and how you make sure your brand stays relevant. Speaking of making sure that your brand stays relevant, doing marketing right and doing it effectively can do greatly for your business, it can guarantee an automatic process and progress. If you want to learn more on proper effective marketing and automating your process, then keep on listening and I’ll tell you more. Property can be very forgiving. But I've known lots of investors make the mistakes I've talked about in this podcast, and because of those mistakes, they're not making the money they thought they should be. Listen to the podcast, and make sure you're not making the same mistakes and get one step ahead - they come from my 17 years as a Property Investor. You can also find the video for this on my YouTube channel, and it's uploaded into The Property Cashflow Show for you to watch. Hope you enjoy it and my use of the term 'dude' ! In my interview with Robert Walters we discuss how to conduct Due Diligence on a property before you buy it. Now, making sure you get this aspect of your due diligence correct is essential if you want to make sure you're buying the right property in the right area. Get this part wrong, it can affect everything that happens for this property with regards to doing it up and selling it or holding and renting. I highly recommend that you go and do the Due Diligence training course. All profits go to charity and at £50, it's the best bargain you'll find this year. In this podcast I discuss some of the recent changes to tax for buy to let investors and how the Bank of England are now looking to assert their 'power' on the buy to let industry, despite it being rather clear that this horse has now bolted. I also talk about why this is a golden opportunity to get into Buy to Let and how the housing supply is being affected by these recent decisions. P.S. I LOVE getting feedback, so if you love it let me know. If you hate it let me know why. And if you want me to discuss something that's relevant to you then let me know that too ! Mark Donnan Talks Marketing and getting into your customers head. Expect a content filled webinar from Mark Donnan, Director of Froggo Marketing. Mark has grownb his Marketing Business significantly over the past fews years and when he speaks, the industry jumps. Mark is years ahead of the competition and is a powerhouse in the world of marketing. Listen to the podcast, and then contact Mark if you want to get in front of more clients. Some real gems in this interview, so I hope you have a pen and paper ready and are prepared to take notes! So I’ve just finished my week at “Billionaire Bootcamp” where Chris Howard was hosting our training. This was likely the best training I’ve ever experienced, with breakthrough after breakthrough and a massive release of limiting self beliefs and a change in my ‘identity’ as to who I think I really am. It’s our thoughts that prevent us from doing amazing things and my week in Santorini, Greece played out just as I had hoped at the Billionaire Bootcamp event. If you're interested, then there are more Billionaire Bootcamps around the world, the next being in Hawaii in December 2018. If you would like to attend, then drop me a message, I have some extra bonuses for those that sign up through me and makes it even more valuable. In this podcast I talk about how to keep your focus, and how you can use 90 day goals to sharpen that focus, begin to make better choices and start heading towards your goals much quicker than before. The things I hear constantly is "I haven't got enough time", or "I haven't got enough money" and so I talk about to take control of both of these. In this podcast, I interview Barry Davies about his new book "Retire On One Property Deal". 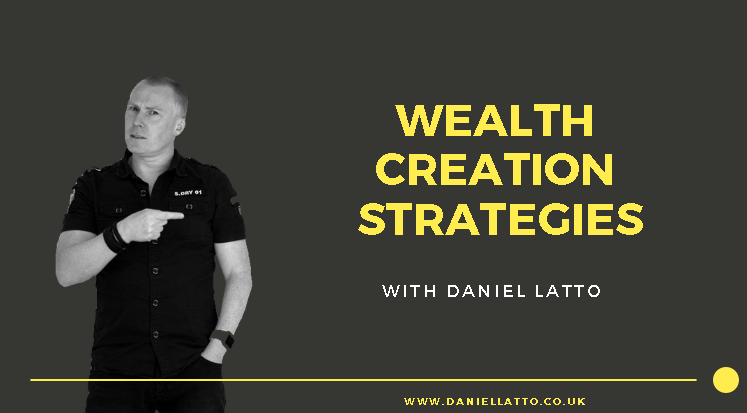 We walk candidly about how he secured financing on this large investment and how other property investors can take advantage of the lower competition, higher income (£6,000 per month after all costs) and how to retire early. Download this interview, and get access to Barrys Book for free. Hope you enjoy listening to this podcast as much as I did in recording it. We live in a modern world. Internet is the medium used for basically anything, most especially communication. It is useful in reaching other people. And here’s the thing, studies in the US showed that more people are watching Youtube than the tradition television! So not only does that mean that Youtube can be used in entertainment, but it can also be used to reach an audience, you can reach potential customers through Youtube. More and more business and brands get in contact with influencers -or Youtuber’s as they are called- and they ask them to promote their brand. However, there are more ways you can integrate Youtube into your marketing. Keep watching and I’ll tell you more. In this podcast interview, I speak with 2 time #1 Bestselling Author Atuksha Poonwassie about Property Investing through Crowdfunding and Customer Relationship Management. At the time of recoding, both books have been released and hit #1 on Amazon in the same week! We also discuss their property journey and how they go into property investing. In my property coaching package, we introduce clients to property sourcers who can source deals around 20% to 25% off the Open Market Value. This can often mean that property can be a hands off investment. During the interview Atuksha explains how she bought, refurbed and sold to be begin with and how they are moving into larger Multilet properties. As a successful business woman and property investor, I also asked Atuksha about who she admires, and what motivates & inspires her. Marketing is a huge part of business, it’s how the path to the people, to the consumers. It’s how you put your brand in the market and how you make sure your brand stays relevant. At the time of recording, both books have been released and hit #1 on Amazon in the same week! Planning is the key to your success, so it baffles me why so few people actually do it. Success cannot be achieved through without tact and luck, there must be layout involved, you should know what you are investing your time into and when you are going to do certain things. It's a way to calculate your every move and avoid wasting time. If you want to be as successful as you can, this is not optional. It's a must. Aside from that, you can also practice organisational methods, you will be guaranteed to be more productive, and you can also plan out little celebration, family gathering and personal appointments so that it doesn't clash with your work. Therefore, assuring that you have equally divided time for everything. Join me with Arsh Ellahi, Author of Boom, Bust and Back Again & learn how to create a recession proof property business, implement systems and accelerate growth. An interesting interview with a man who had lots of properties, and then lost it all, only to start again and coming back stronger than ever. Arsh is a well known property investor and contributor. If you have less than £70,000 to invest, your money will quickly run out. That's why if you have less than £70k, your best investment is in yourself, in your training and education, in getting your mindset right. Then when you know how to make cash, you can make MORE of it whilst at the same time investing in assets. It's easy to invest using your money when you've got loads of it, however, the amount does not determine the success. Which is why I've always find it more effective to invest when you've got less, that way, you can focus on investing in yourself first instead of the cash. Replay Podcast | Podcast 9 – Jim Halliburton, The HMO Daddy and how he bought 50 houses in 50 weeks ! Meet Jim Halliburton, the ex-lecturer who now has over 900 tenants. In fact, Jim set himsef a target to purchase 50 properties in less than a year ... and he hit it ! In this honest, open and authentic interview, we get to find out more about Jim, what makes him tick, and some of the charitable things he does to help others. Jim's been on TV quite a few times, and as always, the editing process changes what he really means, and in this interview we talk about that too. If you want some inspiration and some great, straight talking between two portfolio property investors, then this is a great podcast !